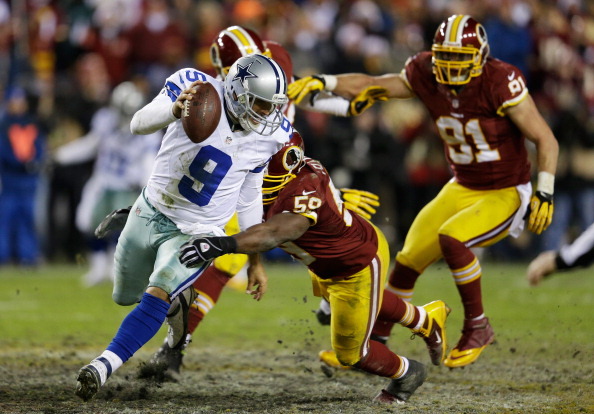 The Cowboys went to Washington Sunday night hoping to ground rookie star QB Robert Griffin III. Instead, they were grounded by their own mistakes, and in end they were too much to overcome in a 28-18 setback. The loss drops the Cowboys to 8-8, and they will miss the playoffs for the third straight season, having stumbled in a make-or-break end-of-regular-season game for the third time in five years. Tony Romo threw three interceptions, matching his total from the last eight games combined. A poor throw was picked by Rob Jackson when the Cowboys had a chance to drive for a winning score in the final minutes. Romo almost became the first Dallas quarterback to throw for 5,000 yards in a season, but his career is instead further tainted by post-Christmas disappointments. He also had Week 17 losses to the Philadelphia Eagles (44-6) in 2008 and the New York Giants (31-14) last year, as well as his 1-3 record in playoff games. The Cowboys defense needs to shoulder a lot of the blame as well, as they were not able to put the stop on Redskins running back Alfred Morris, who went off for 200 and three scores in the Redskins win. 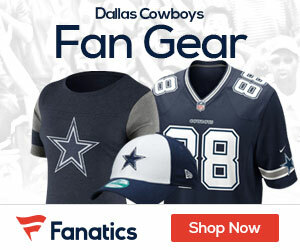 Dallas also dealt with in-game injuries to receivers Miles Austin (left ankle) and Dez Bryant (back). Bryant, who had a torrid second half of the season despite breaking his left index finger, had four catches for 71 yards. For the Cowboys, it was simply not meant to be, but now the talk will get even worse regarding Romo, who is now 1-6 in elimination games. Trying to play catch-up, Dallas pulled within three on a 10-yard pass to Kevin Ogletree and a 2-point conversion with 5:50 to play. But Morris’ third touchdown, a 1-yard run with 1:09 left, sealed the win. Playing against a defense missing its five best run defenders, the Redskins didn’t need Griffin to throw much. He completed just 9 of 18 passes for 100 yards. It’s a rough loss to have to swallow, but the pressure from the media this week will get a lot worse. I wrote a song about the sad realities of being a Dallas fan.